Our office pool on his replacement has Granholm and Steyer in the running. Last month we reported on the likely departure of Dr. Steven Chu as head of the DOE and we listed some potential replacements. But there have been conflicting statements as to Chu's current status. Bloomberg reports that Chu's resignation announcement is imminent. In response, two weeks ago, the DOE issued a statement saying that, "Dr. Chu is focused on his job as secretary each day and hasn’t made any announcements about his future plans." That came from Bill Gibbons, Energy Department spokesman, in an e-mailed statement. Well, it is now official. 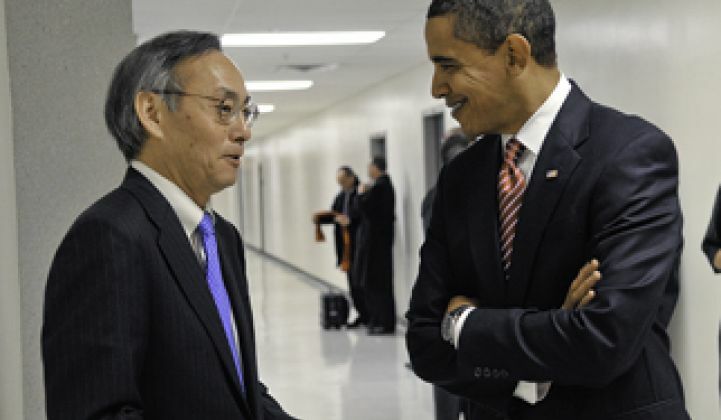 Energy Secretary Steven Chu has just announced he intends to resign once a successor is named. Ninja billionaire hedge-fund manager and advanced energy advocate Tom Steyer is reportedly on the short list of replacements. Steyer is the founder of Farallon Capital Management and the co-founder of OneCalifornia Bank. He also created the TomKat Center for Sustainable Energy at Stanford University. 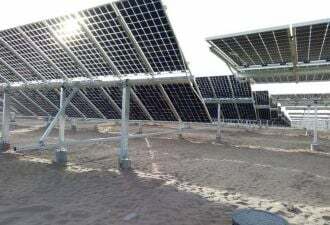 Last year Steyer said, "The failure of Solyndra has cast a shadow over advanced energy in the country -- especially in D.C.," at an ACORE-sponsored Renewable Energy Finance and Investment Network event in San Francisco, California. The picture being painted in the press is very misleading, according to Steyer. Steyer gave some reasons to be cheerful, including a new miles-per-gallon standard and that the majority of respondents in a field poll support carbon legislation. Steyer made a distinction between renewable energy and advanced energy. Steyer views the shift from coal to natural gas and the focus on energy efficiency as part of this move to advanced energy. Steyer has spoken of coalition building, saying, "If the fight is jobs versus the environment -- we'll lose," adding, "We need the right messenger. The American Lung Association has been fighting for health and we need them on our side. We need business people. We need the right message and right messenger." He suggested, perhaps controversially, that "we need to push for the end of all subsidies." Political consultant Paul Bledsoe, quoted in Politico, noted that lawmakers have relationships on Capitol Hill, while governors’ executive experience can help bring GOP support. “The sweet spot here for Energy Secretary at this political moment is someone who is expert at DOE programmatics and well liked on the Hill,” said Paul Bledsoe, an environmental aide in the Clinton administration, to Politico. Rob Day writes that the DOE "needs to transition from a focus on technological innovation (without losing the progress made there) to a focus on commercialization and consensus-building." Who could get that job done? Who gets to guide Obama's energy policy, such as it is, over the next four years? We've had a Nobel Prize-winning scientist in Chu. Perhaps we need a DOE Secretary who is more of an engineer, financier, or CEO. Who would be the right person for the job?